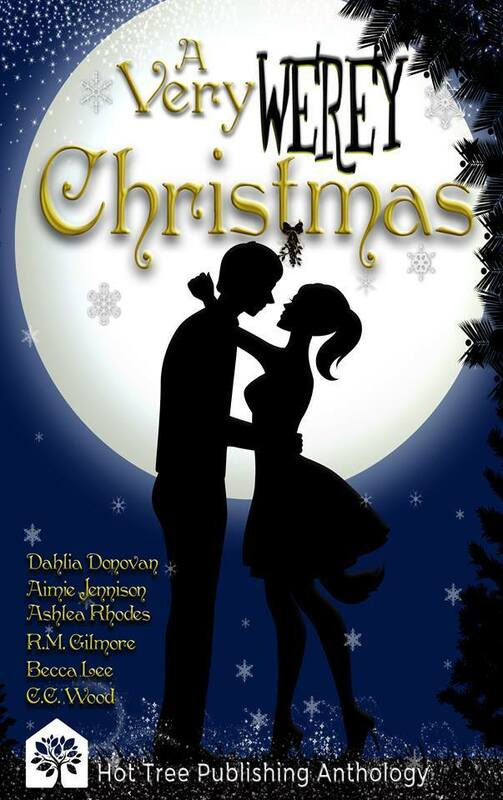 Tempting Scrooge is Live! 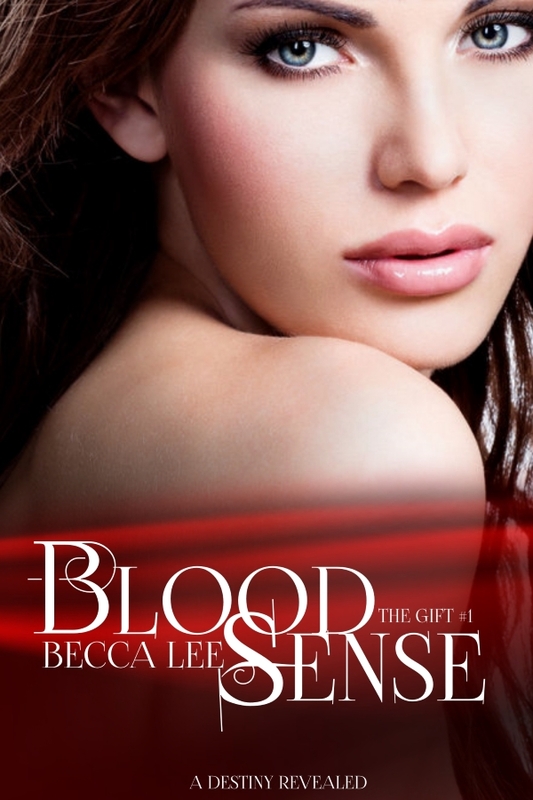 + Paperback Giveaway! Be in it to win it! 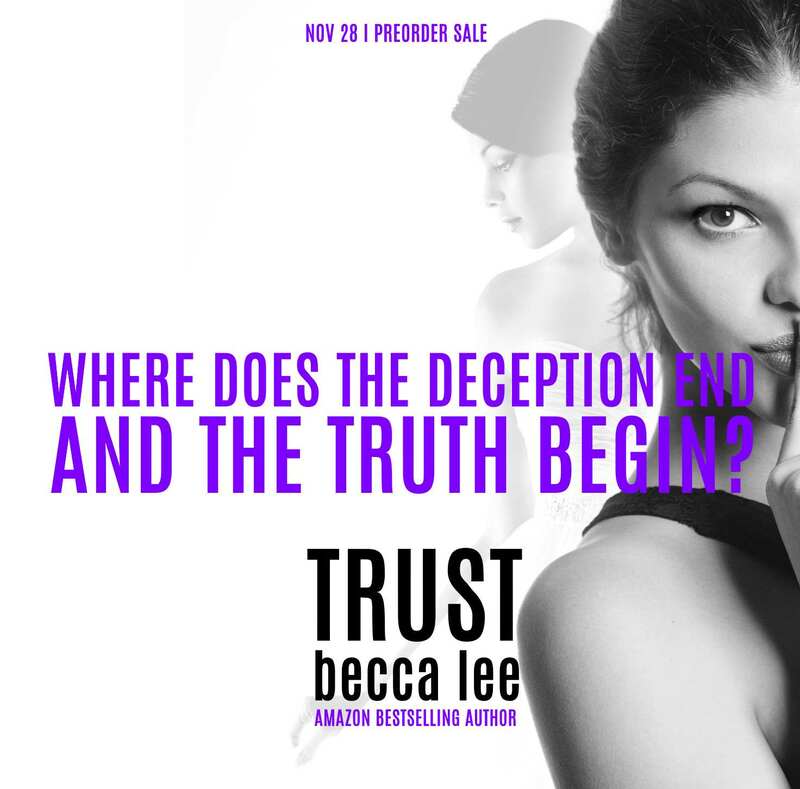 To win an awesome copy of Trust, releasing November 28th, I just need your support please for my rafflecopter campaign. After ignoring Trust for far too long with good old life getting in the way, it was time to pull in the reins and own this amazing book. 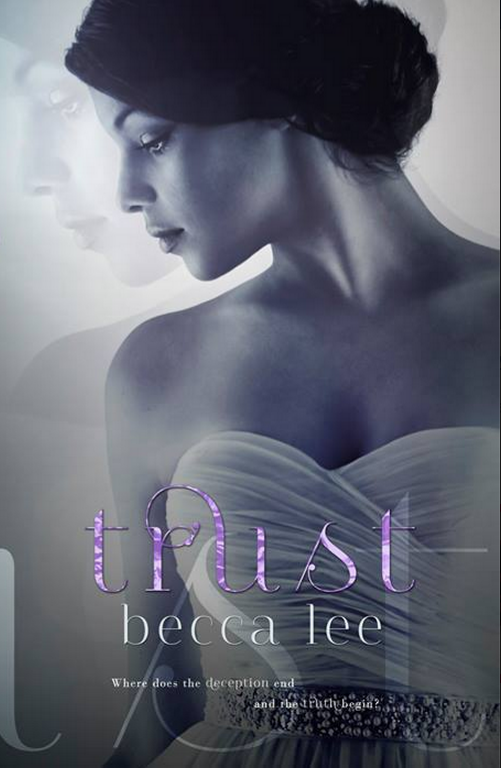 Finally, Trust will be heading to my amazing editor Hot Tree Editing next week. I’m just working through the final stages at the moment, and am so bloody pleased with the result. 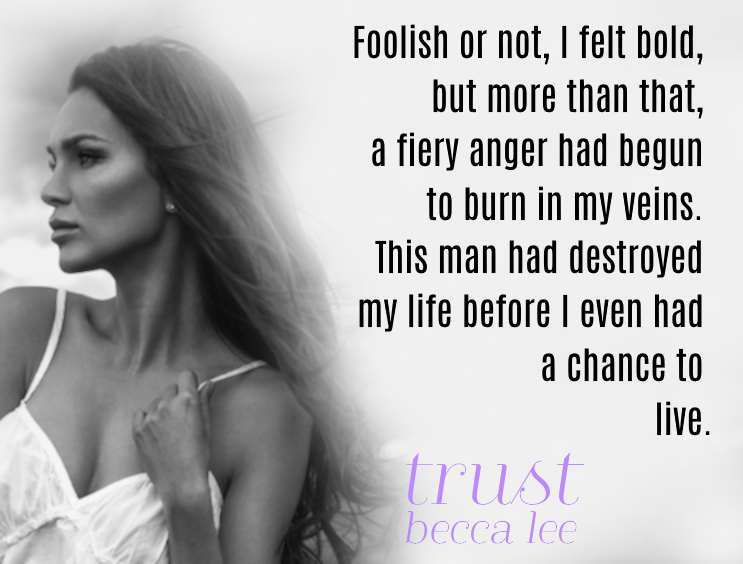 While Trust has a pretty fabulous level of wit and humour in the main character Jessie, the book is nothing like my Perfect series. 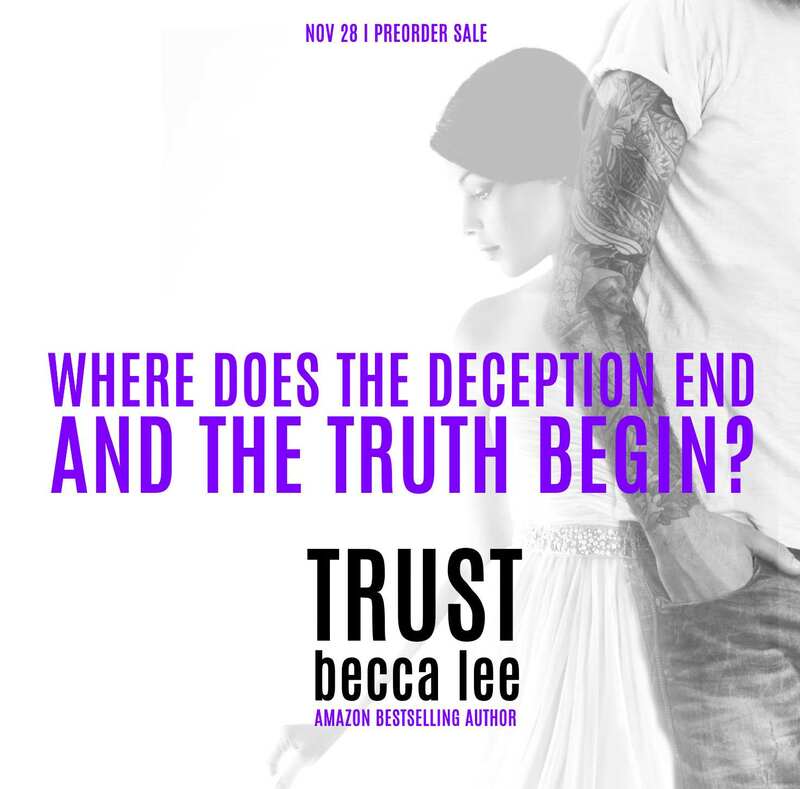 Trust touches on affiliations with the Russian mafia, and follows Jessie, a young woman whose life turns upside down after she make discoveries certain to make weaker people cower and crumble. But not Jessie. She soon discovers, she’s not willing to cower in the face of a situation that could keep her down. Yup, she’s pretty bad-arse in her own unique way. 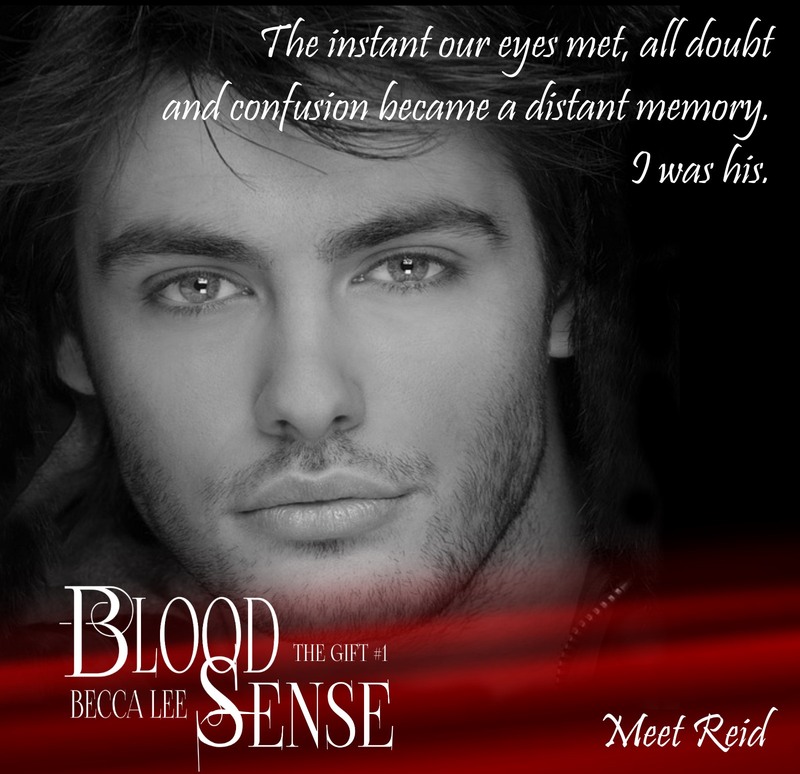 I have a sneak peek, never shared before, extended excerpt* for you to enjoy. I’d love to hear your thoughts. It didn’t matter that he had shouted words in anger, in rage. They were out there, floating in the breeze of the cool air kicked out by the air conditioning unit. I was mad. Livid even, but there was also a part of my heart that shattered at the words. He actually spoke them, shouted them, spat them. My heart constricted to a point when I thought it may actually stop, break and give up. Who in the hell knew that was what this felt like? I sure in the hell didn’t. Not before this moment. I wanted to scream, to shout, to punch, and bite. I couldn’t do any of that. I was rendered speechless. Ironic really considering my specialism in speech therapy. My mind scrambled for a coherent thought, or at least a reaction. Nothing. Oh, there was plenty whizzing through my mind, but nothing concrete that I could grasp. And all the while, he just stood there. Looking. Watching. Waiting. I knew the moment the words had been thrown from his mouth, that he regretted them. 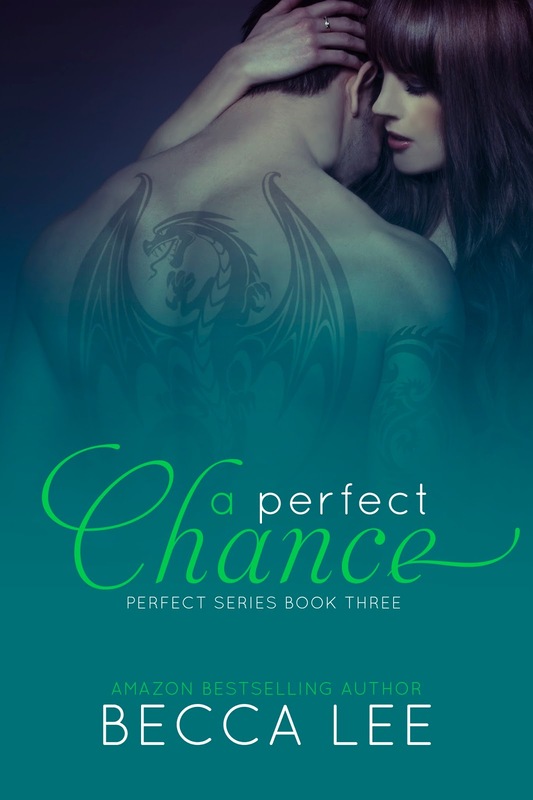 I saw it through his paled expression, the repeated movement of his Adam’s apple bobbing up and down, and the clear look of horror. But it was too late. They were still out there. I shook my head, effectively cutting off his words. “No.” The sound of my voice surprised me. Not only had I managed to form an honest-to-God word, but the word was flat, even. I’d expected a shake in my voice, maybe teamed with a tear. I could do this. I had to. “Out, now. I can’t even look at you.” And I couldn’t. My erratic thoughts and feelings were finally regrouping, restructuring. It was possible that the rage I felt bubbling low in my belly, could actually build to the point where I may lash out. Hitting and biting sounded good at that moment. “I swear to God, Chris. Get the hell away from me. Now.” A hint of the bubbling rage entered my once flat words. I sneered, a real life sneer, one I was sure transformed my face into something animalistic. I fought the urge to step toward him and lash out. Instead, I inhaled my anger and turned my back to him. Moments later, the front door clicked closed. 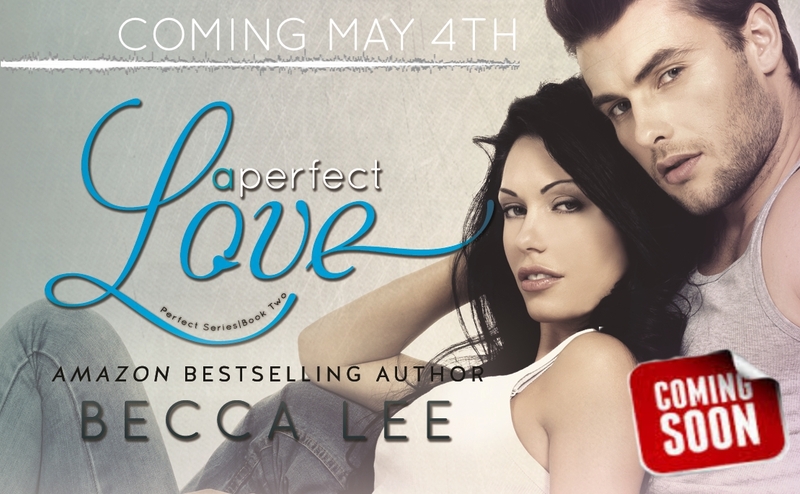 I’m so excited that A Perfect Love finally has a release date. May 4th, 2015, here we come! I could have rushed the release out a little sooner, but made the decision to hold back and stick with the year anniversary date of A Perfect Moment. saying that, I can’t believe it’s been almost a year. The good news is, I’m being much better behaved and have finally discovered a hint of balance in my life, which I did not have last year. This means a one year wait between release will not become the norm. Promise. So please get excited and spread the word. 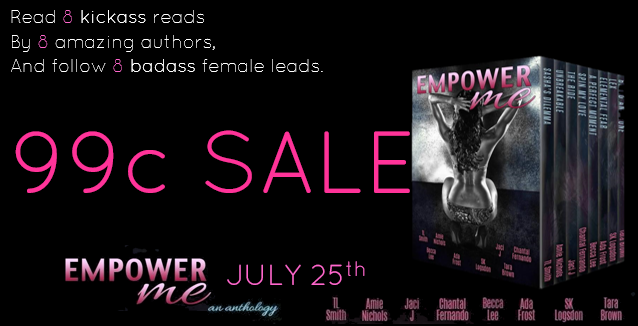 Also, if you’re a blogger, or have blogger friends, please sign up or share the link to support my new release.